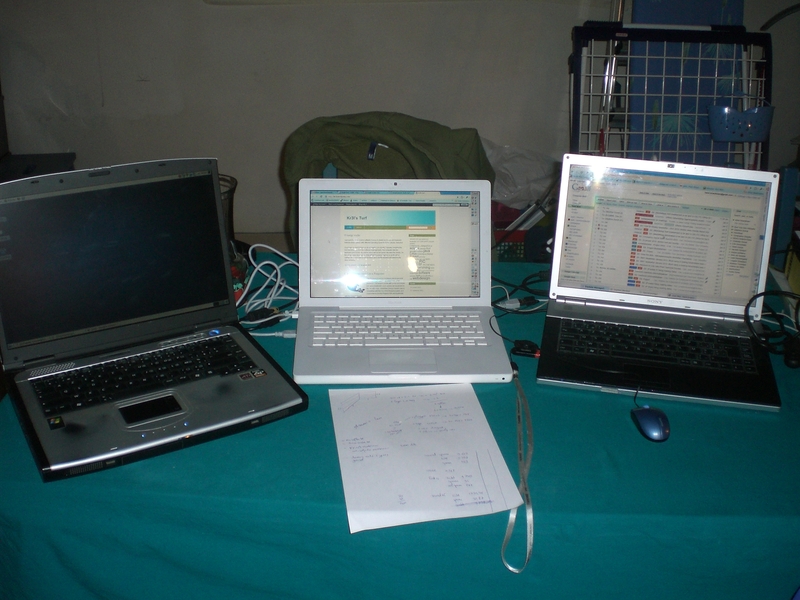 Just used the open-source software Synergy to share my mouse and keyboard between three laptops with different Operating Systems (Vista, Ubuntu, Xubuntu)! You’ll have to start Synergy on all computers (on Ubuntu / Xubuntu I installed the GUI QuickSynergy from the software management). The computer with the keyboard and mouse you want to share will be the server, the other the clients. On the server, enter the position of the different screens (laptop1 is on the left of laptop2 etc.). Click start on all Synergy’s and now the desktop will extend to the other screens!